Little Falls NJ homeowners, designers, builders, and contractors have a place to turn to when looking for high-quality kitchen cabinets and countertops at low price. 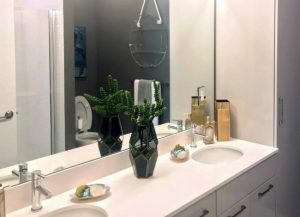 Aqua Kitchen and Bath Design Center located near you provides the best Kitchen Cabinet and Kitchen Countertop Deals for everyone who remodel or build their kitchens and baths in Little Falls NJ. Visit our Wayne NJ kitchen cabinet and countertop showroom located at 1107 Rt 23 South and find Best Quality and Best Prices on only 10 minutes drive from West Paterson, NJ. Get your dream kitchen and bath at an affordable price, today. Aqua Kitchen and Bath Design Center team knows how important your remodel projects in Little Falls NJ are. We will support you with our expertise, low prices, top-notch product selection, and unmatched customer service. Your goals are our goals! Please check what homeowners, designers, builders, and contractors say about us on Google, Facebook, Yelp, and Houzz below. We are proud of the reviews we get from our satisfied customers. When you bring us a written estimate, we will beat our competition kitchen cabinet price by 10%. How many kitchen cabinet showrooms in Little Falls NJ can offer you this opportunity? Free 3 D design that we provide will help you not only imagine but actually see how will kitchen cabinets you chose look like in your home. Aqua Kitchen and Bath Design Center located near Little Falls NJ offers you monthly specials on a regular basis. Check out our Monthly Specials and choose kitchen cabinets and countertops from the best brands at the lowest prices you can find in NJ. Visit our spacious, bright and comfortable showroom conveniently located near Little Falls NJ. Our designer and sales team is here 6 days a week to greet you, give you any information you may need about the products or a designer advice, and give you 12 months no interest financing on kitchen cabinets. Whether you need gorgeous granite or showstopping quartz, we will give you the best products and service available in NJ. Contact us today to get a free estimate, free fabrication, installation, and sealer treatment. Head northeast on Ridge Rd toward Sally Jean Ct, continue onto Long Hill Rd, and toward Notch Rd. Take the ramp onto US-46 W.
Continue straight to stay on NJ-23 N and take the NWK Pompton TPK exit toward Pequannock. Get on US-202 S, merge onto Nostrand Ave/Old Newark Pompton Turnpike, and use the right lane to take the ramp onto US-202 S.
Merge onto US-202 S, take the Newark Pompton Turnpike exit toward Pequannock. Fabuwood Wellington Spice kitchen cabinets are great for all-wood kitchen cabinet lovers in Little Falls NJ. 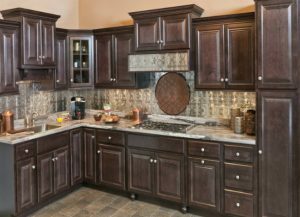 If you love the classic look and deep, natural color of wood in your home, you will love and embrace these beautiful Fabuwood Cabinets. Wolf Saginaw Dark Sable kitchen cabinets special price of only $1999 for 10×10 kitchen present a great opportunity to take care of your kitchen remodel project in Little Falls NJ. Deep, dark wood color is perfect for everyone who prefer elegant design. 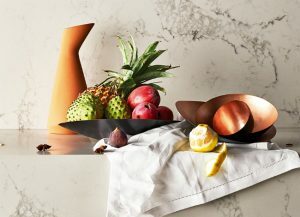 Caesarstone Statuario Maximus Quartz is a marble inspired countertop perfect for both kitchen and bathroom remodel projects in Little Falls NJ. 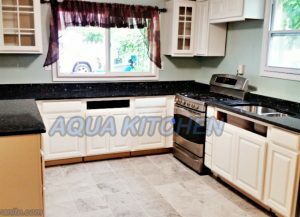 Aqua Kitchen and Bath offers low price, free fabrication, edging, and installation. Stop by our showroom to see it! Do you love the uniqueness of granite stone? If earth tones relax you and inspire you, check out Giallo Napoli Granite. Combine its gold, yellow, and gray shades with off-white, cream, and all tones of brown colored cabinets in your Little Falls NJ kitchen. We specialize in equipping both commercial and residential projects. Blue Pearl Granite Countertop Installation in Wayne, NJ was a residential project. We provided the product, free estimate, free edging, free fabrication, and free installation. White granite is beautiful and if you like it, we will always recommend you Galaxy White Granite. 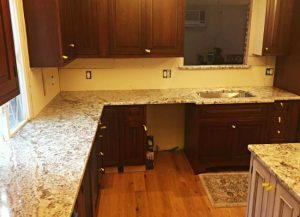 Galaxy White Granite Countertop Installation in Clifton, NJ showed how perfect was this stone for creating an amazing contrast with dark kitchen cabinets. 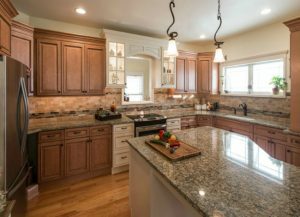 If you live in Little Falls NJ and you like the elegant and unique look of granite stone, pay attention to Viscont Granite. 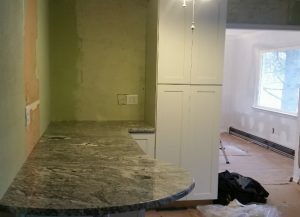 We started to adore this stone after we experienced how great it is to work with it in Viscont White Granite Countertop Installation in Wanaque, NJ. Caesarstone Countertops Installation at Signature Place, Morris Plains NJ was a project where we equipped a beautiful contemporary living space with Caesarstone Blizzard Quartz and Caesarstone Bianco Drift. 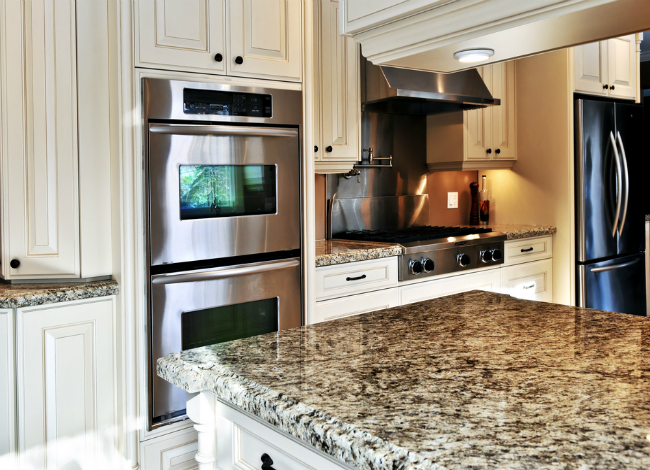 These two types of quartz fit beautifully in any kitchen space! Little Falls NJ is a township in the state of New Jersey named for the waterfall of the Passaic River. This charming NJ town is a home to about 15,000 people. It traces back to 1711 and covers 2.8 square miles. Little Falls is a town conveniently located between the communities and towns of Clifton, North Caldwell, Montclair, Cedar Grove, Totowa, Woodland Park, Wayne, Fairfield, and Wayne. Throughout the history, Beattie Carpet Mill was the most important employer in this town while brownstone quarrying was another very important local industry in Little Falls. Today, Little Falls NJ is a vibrant town that offers great quality of life to all of its residents. Kids and young people, as well as business people and senior citizens love experiencing all the commodities this town has to offer. Learn more about the borough of Little Falls NJ on the official site Township of Little Falls NJ, and on its Wikipedia page. Little Falls in NJ is an excellent place to grow up, go to school, make friends for life, live, and work. It has a homey, familiar, small town feel but is conveniently located within easy commuting distance of New York City. Take a look at some of the lovely everyday sights in Little Falls NJ. Kitchen Cabinets and Kitchen Countertops near Little Falls, NJ. 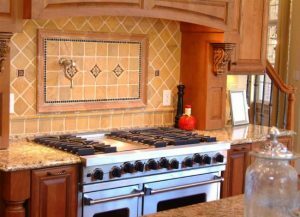 We price match and beat any written kitchen cabinets estimate.